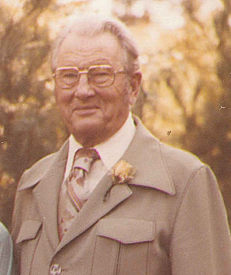 The first settler of Glidden and Carroll County was Enos Buttrick in the late 1840’s. By 1867, the development and early importance of Glidden was due to the railroad stop of the Chicago and Northwestern's line from Clinton to Council Bluffs. This 354 mile line was opened in 1867, the same year the original town plat of Glidden was completed. Glidden was named in honor of one of the Northwestern Railroad directors, Joseph Farwell Glidden (1813-1906.) Director Glidden was also credited with inventing barbed wire in 1873.
railroad was interested in the expansion of this area; and, in 1868, a depot was built and a station fixed at Glidden. 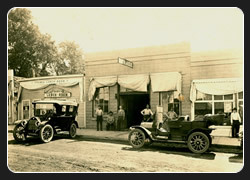 The first building to be erected after the railroad station was complete was a general store built by A. B. Wattles. That same year a post office, fire station and a two-story frame school were constructed. 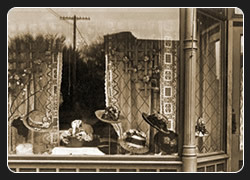 By 1870 Glidden had eight brick businesses housed on its main street and the population had reached 177. Over the next 20 years it would grow to 532. Among Glidden's first businesses were John Waldron’s jewelry & gunsmith, George Ferguson’s hardware & implement business, an elevator, W.F. Waldron's blacksmith & wagon shop, George Eaton furniture & undertaking business, and a creamery. Liquid lightening inspired some folks and could be purchased from Frank Chandler's "blind pig," which was just up the alley in the vicinity of where the library stands today. On October 2, 1873, the village of Glidden was incorporated and J.O. 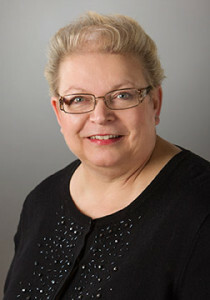 Havens served as the first mayor. The first newspaper was the “Express” and was established by Ed Tabor in 1877. The first bank was also opened in 1877 by George Stafford and later became the First National Bank of Glidden. In the early 1870's, shortly after Glidden was born and a few businesses were established, the first fire department was organized as a bucket brigade with the town pump located west of the current Graphic office. 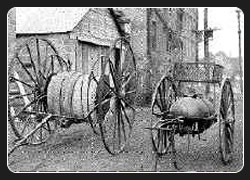 In 1879, the bucket brigade was replaced with a pumper, the old handcar type, and 800 feet of hose. The apparatus required 16 men and a foreman. The most serious fire in Glidden’s history occurred on Christmas Day 1883 in the midst of high wind and a blinding storm. The fire started in the drug store and nine buildings were destroyed. In 1902 a new hook and ladder truck was purchased for $151and in 1905 a new fire whistle was put into operation. The Glidden City Fire Department was officially established in 1953 by ordinance of the town council. Later agreements were made with Grant, Glidden, Pleasant Valley, and Richland townships to pay operating expenses.In 2007 construction of a new fire station was approved through the passage of a $600,000 bond issue. The total cost of the project was $850,000 with the additional funds coming from donations and the local option sales tax. The department moved into its new facility in November 2008. All 24 firemen and 9 first responders are volunteers. There were three early school houses in Glidden. The first was a two-story frame building built in 1868 for $2,200 on what is now the southwest corner of 2nd and Montana Sts. This school was used until 1879 when a three-story structure was built in what is now Glidden's City Park. The first two floors were used by four teachers and 180 students and the top floor was used as an entertainment hall. Because parents feared the top floor might collapse, it was removed in 1908 and replaced with a belfry. 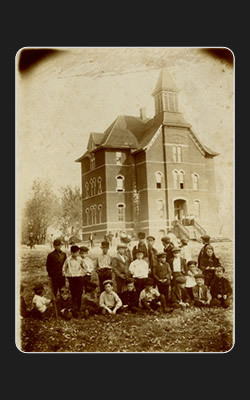 Glidden's third school, the National Normal School and Business College, was built in 1890 on what is now the corner of 3rd and Utah Streets. The college was in operation for eleven years, tuition was $5 a term, and board could be obtained for $2 a week. When the college closed, the building became the high school. Both the college building and the building in the city park were used until the present day school was built in 1922. In 1918 the first horse-drawn busses began picking up the country pupils. As the country schools closed, the need for bussing increased. When the consolidation of the nearby country schools began, the country schools were moved into Glidden giving the appearance of a hen and chickens, with the two-story school building the center and the little white country schools surrounding it. 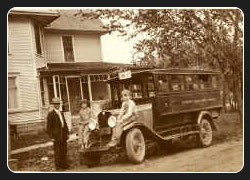 The horses-drawn busses were used until 1922 when the first motor-driven school busses were purchased. 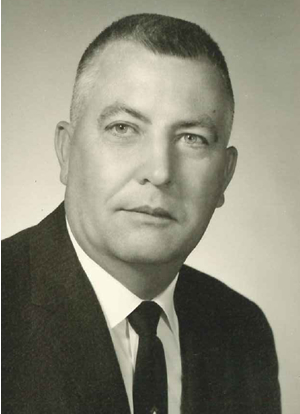 Consolidation returned in 1957 when Ralston became a part of the Glidden district. At that time the Glidden-Ralston School had 610 students and more country kids than town kids. Glidden was free of major burglaries and disturbances. He was a dead shot with a pistol and shot the town rats to keep in practice. Not only an effective peacekeeper, Al was also a poet and wrote under the pen name Alkali Al. 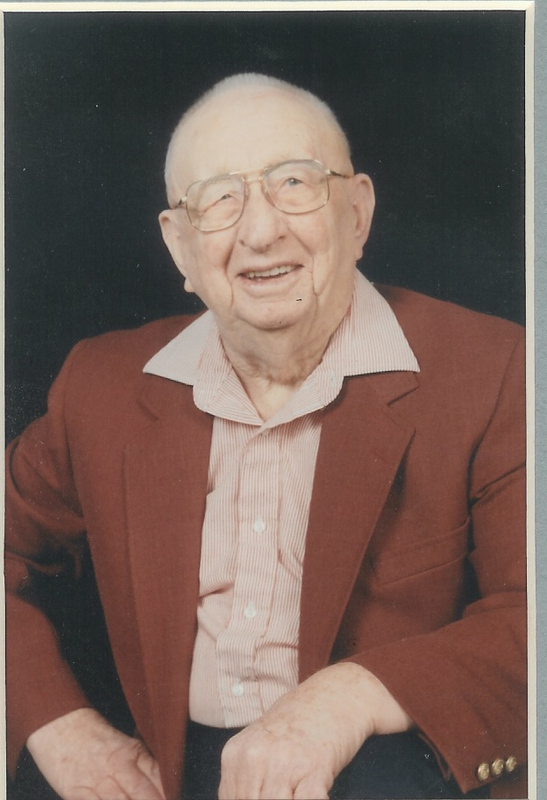 A book of his poems can be found at the Glidden Public Library. Glidden built itself a new city hall in the 1940's and again in 1986. 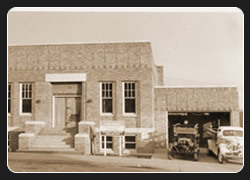 The first, a two-story building, housed fire equipment, the jail, a council room, and a 400-seat auditorium. The city moved the library into the basement of this building in 1953. The building was made possible through passage of $10,000 in bonds and a federal grant through the WPA (Works Progress Administration.The WPA also funded the cemetery wall and curb and gutter projects in 1939.) This City Hall building served Glidden for fifty years, but issues of maintenance and handicapped accessibility led to a decision to demolish and replace City Hall with a new building. The Municipal Building was completed in 1986. With a new addition to the north in 2000, the library once again became part of the city administration building. From the early 1900's until 1924 a traveling library stopped in Glidden. Then, in 1924, Glidden's three study clubs, the Sorosis, Entre Nous, and Philomathion, joined together and started a town library. This group went on to combine their study clubs to form the Women's Club in 1925. Since the group had no funds to rent space, Junia Eaton offered an area in his furniture store for the new library. The Women's Club later purchased a property on West 3rd Street to house the library and for their meeting place. In 1952, at the request of the Women's Club, the city took over the library under State of Iowa guidelines. In 1953 the library moved into the basement of the City Hall and in 1964 moved across the street to the former Ratcliff building. By 2000, the need for additional space resulted in construction of a new library on the north side of the existing Municipal Building. See the library page for features of the Glidden Public Library as it operates today.